Attending #TPS2018? Make sure to stop by our booth 1202 and hear RDI Technologies Inc. CEO and inventor Dr. Jeff Hay speak about #motionamplification on Thursday at 11 am in room 350D! RDI Technologies is exited to announce the addition of Janos Pattantyus to the team! RDI Technologies is excited to announce that Janos Pattantyus has joined the RDI Technologies Inc. team as the Canadian Sales Manager. Janos is a certified category IV vibration analyst with a master’s degree in mechanical engineering. He puts his bilingual passion for vibration analysis and solving machinery problems to good use, initiating, training and supporting Canadian practitioners of asset health monitoring in #motionamplification. We are excited to welcome him aboard! Tower Engineering Professionals was privileged to host an information and training session with RDI Technologies’ CEO and Founder Jeff Hay, as well as Strategic Initiatives Manager Andrew Dougherty on the company’s CableViewTM Tension Meter measurement tool. 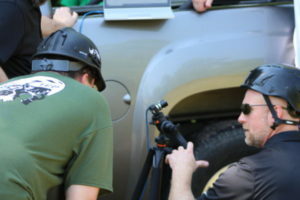 The two demonstrated the use of the motion amplification camera as well as the data collection tool for an audience of TEP employees. 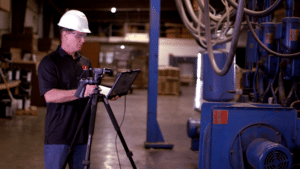 This session provided TEP employees valuable training with a new technology that allows TEP inspections to be more accurate, efficient, and safer. RDI Technologies is excited to announce Alvin Manabat is joining the team! RDI Technologies is excited to announce that Alvin Manabat will be joining our team in the role of Senior Software Engineer. Alvin is bringing over 10 years of experience to RDI specifically related to device-specific subsystems and enterprise applications while working at Interlogic Outsourcing Inc. (IOI) and Emerson Process Management. Alvin is excited to be joining the RDI Team and will be an immediate asset to our software development team. RDI Technologies will be attending and be exhibiting at the EASA 2018 Convention (The Electro-Mechanical Authority), June 24-26 in Milwaukee, WI. We are excited to attend the conference for the first time and looking forward to meeting EASA members at booth number 127 and doing a live demo of the Iris M system and motion amplification. RDI Technologies’ CEO Dr. Jeff Hay is traveling to Europe for the IMVAC Europe conference in Antwerp. He is presenting on motion amplification and using the Iris M system to detect vibration issues in your plant. RDI also has a booth with a live demo of the Iris M system and more product information. If you are in Europe this is a great event and time to catch up with RDI Technologies! RDI Technologies is truly excited to announce that Sean Hickey will be joining our team and taking on the role of our Northeastern Regional Sales Manager. 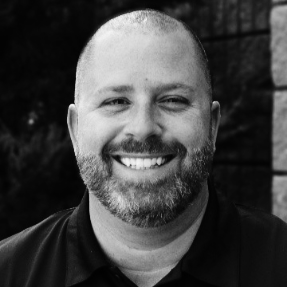 Sean is welcomed to our team bringing with him over 10 years in technical sales, most recently managing the Southeastern territory for Connection Technology Center. (CTC) Sean’s strong understanding of hardware and phenomenal Business Development skills make him an immediate asset to the team here at RDI, and we are eager to reach new heights together. Please help us in welcoming Sean to our growing team! We are looking forward to the #thereliabilityconference in Las Vegas next week. Make sure to stop by our booth # 30 and hear our CEO Jeff Hay speak on #motionamplification on Tuesday, April 24th from 1-1:45 in Sonoma C! We are excited about Reliable Plant starting April 17-19, 2018 in Indianapolis. Stop by our booth number 631 to see a live demo of the Iris M system and hear our CEO Dr. Jeff Hay present on the benefits of using Motion Amplification in studying vibration at your plant.